After a long time I've managed a little bit more time to port apps. As an Android enthusiast I prefer KitKat 4.4.2 more than any other android versions because all of them are quite weird in providing a better user access. 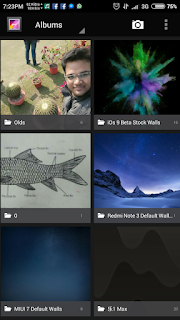 So here now I have managed to port some apps from CyanogenMod 4.4.2 as it is based on KitKat and I use MiUI 7.1 and I find its Camera and Gallery app way heavier in quick use. Apps can be installed directly as user app.